Welcome back everyone. I hope you enjoyed the holiday season! As you may recall, back in December we started talking about ‘Worm Castings’, and have already dedicated two editions of the newsletter to this subject. In our last edition I told you we’d be looking in more depth into the mechanisms behind the amazing growth promoting properties of castings. 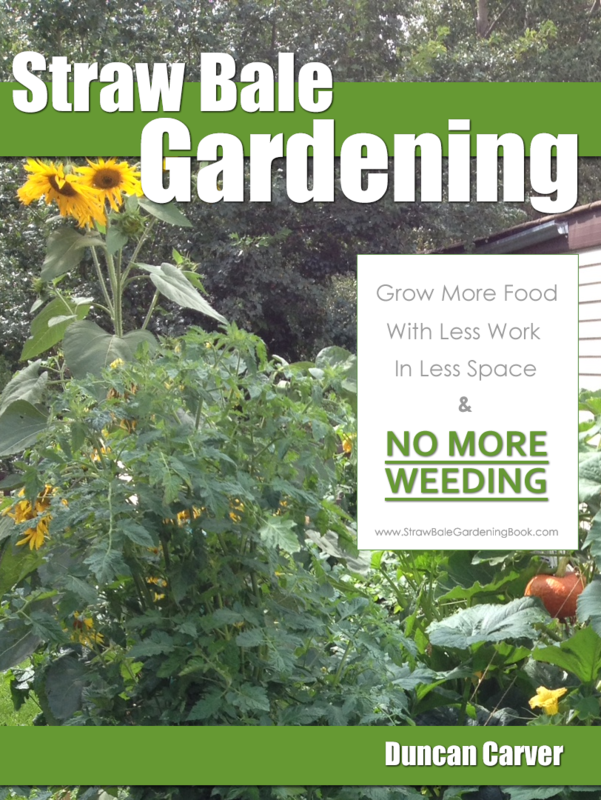 I’ve actually decided to leave that until our last installment in the series, and instead we will continue to push forward – looking this week at the potential of worm castings for pest suppression. While plant growth promotion and even the disease fighting abilities of castings have been quite well documented over the years (relatively speaking), their use as a means of suppressing pest organisms definitely isn’t something you hear about every day – nor is it something a lot people would expect from a ‘compost’. Just so you know, the term ‘pests’ here refers primarily to various species of insects, mites and nematodes that feed on plants or cause them harm in some other way. If you tuned in for the last edition of the newsletter, and are a regular reader in general, you won’t be surprised to learn that some of the key studies in this area have been conducted by Dr. Clive Edwards’ team at The Ohio State University. Initially, research focused on the changes in trophic structure (basically the niches being filled in a given ecosystem) of soil invertebrates – specifically arthropods – brought about by the addition of vermicomposts (see Gunadi et al, 2002), but in recent years there has been a greater focus on the actual suppression of certain pest organisms. In 2003, Arancon et al. presented findings from a study examining the trophic diversity of nematode populations in soils where grapes and strawberries were being grown. The authors found that plots treated with vermicomposts had lower populations of plant parasitic nematodes than those treated only with inorganic fertilizer. Similarly, in 2005 Arancon et al. reported the successful suppression of various insect pests in greenhouse trials. Food waste vermicompost was applied at different rates to peppers, tomatoes and cabbages, and the damage caused by aphids, mealy bugs and cabbage white caterpillars was assessed. The 20% and 40% application rates of vermicompost appeared to be especially effective, resulting in significant suppression of both mealy bugs and aphids on peppers, and of mealy bugs on tomatoes. Application of vermicomposts also resulted in a decrease in the extent of damage (% leaf area) caused by the cabbage caterpillars as well. Yardim et al. (2006), also found that the 20% and 40% vermicompost application rates significantly reduced the damage caused by cucumber beetles and tomato hornworms to cucumber and tomato foliage, respectively. Lastly, Arancon et al. (2007) found that vermicomposts once again significantly reduced the damage caused by several arthropod pests – namely, spider mites, mealy bugs and aphids. According to the authors, “almost all” of the vermicompost application rates resulted in a reduction in pest population and a decrease in plant damage as compared to control treatments. Of the three pests, it appeared that the spider mites were affected the least (but again, their suppression was significant nevertheless). While the results of these studies are quite convincing (and exciting, for those of us who are vermicomposting advocates), the authors can only seem to speculate on the exact mechanisms at work (in even the most recent report). They suggest that the production of phenolic compounds (unpalatable to pests) in plants treated with vermicomposts could play a major role in the suppression, along with the greatly increased microbial activity resulting from these additions. 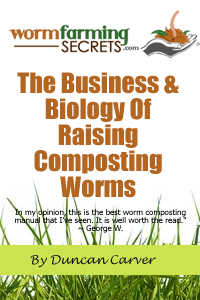 I would also think that the simple fact that vermicomposts have been shown to promote growth and overall health in plants should be an important consideration. If the plants are significantly healthier in general, they should be better able to fend off attacks. Apart from the academic studies, some people in the vermicomposting industry have also taken a keen interest in this potential pest-suppressing ability found in castings. George Hahn, creator of “WormGold”, in particular has spent a lot of time (and money) researching this area. In fact, in November of 2002 he was awarded a United States patent entitled “Methods of Using Worm Castings for Insect Repellency” (Casting Call – Vol 7, Issue 5). What’s interesting is that Hahn points to the microbial production of chitinase – an enzyme that breaks down chitin (a key element in athropod exoskeletons) – as the primary mechanism at work, and in fact the patent specifically calls for a minimum CFU (colony forming unit) count of chitinase producing microbes to be present per gram of castings. I am still a little unsure of what exactly this patent protects, but I suspect it has something to do with having exclusive rights to claiming insect repellency on packaging and in promotional literature. Regardless, this seems to be yet another intriguing finding supporting the assertion that worm castings can indeed be used for effective pest-suppression. Hopefully, in coming years we will see even more academic (and privately funded) research being conducted in this exciting field, furthering out understanding of the exact mechanisms at work, and thereby potentially leading to an increase in practical (‘real world’) pest management applications. Next week we will be continuing our discussion of ‘suppression’, but this time we’ll be looking plant disease suppression as influenced by worm castings.